If you have any questions or want to enquire about dates, use our form to contact Isabelle de Maintenant or see their website for more information. The gardens alone are worth the detour: trees and greenery galore, riots of roses, all flourishing in a huge many-terraced park by a river. The 18th-century farmhouse harbours a fine collection of antiques – one of Isabelle’s passions – tastefully set off by lush indoor greenery and lovely old carpets on ancient tile floors. Softly old-elegant rooms have hand-embroidered fabrics and genuine old linens, including Provençal quilts – exquisite – with splashes of red, orange and beige against white backgrounds. Themed weekends, too (cookery, wine, embroidery), and a warm, gracious welcome from Isabelle and her family. La Nesquerie is the perfect antidote to the stress and strains of modern life. Classical / quirky decor, great breakfasts, a good sized pool and an extensive garden with a stream make this an enchanting location. Our host, Isabelle, was warm and welcoming and happy to provide tips on places to visit or eat. Her father, Jacques, is a great character who delights in sharing his experiences of a lifetime in international farming! We plan to be back again. Wonderful place! Arrived late due to trafic, had a simple but excellent "pique-nique" dinner. Rooms are vast and nicely arranged, we had a small terrace. Breakfast is amazing and served in the garden. Staff is welcoming and very friendly. 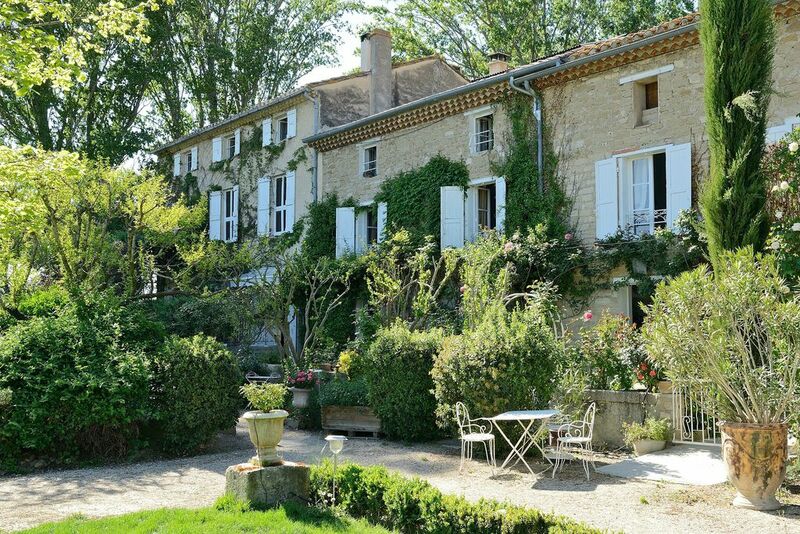 Calm and only a few minutes from Avignon: really afirst-choice stay to explore this part of the south-east! Third visit. Wonderful b&b; s0 friendly. Amazing garden, stunning roses - Monsieur is an expert. Wonderful breakfasts; Best to use SATNAV if you can, as it is not exactly IN Pernes le Fontaines and on a long road. Very Well worth the mini-detour. Lots to see and do around. Isabelle's brother runs a Pony Club on the property so guests can do horse riding on site.